Our mission is to bring relief to families with children with long term and life limiting illnesses. Ellie's Haven will offer holidays of up to one week to families with one or more children with long term and life-limiting illnesses, aged up to 19. It will also offer days out to local families. 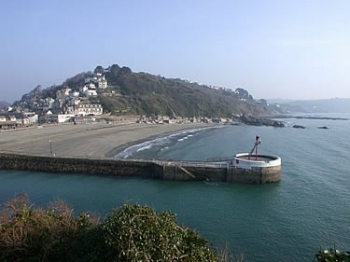 Ellie's Haven will be located near the seaside holiday town of Looe (pictured on the right), in South East Cornwall where Ellie's family live. In a survey of 70 families with disabled children staged by Ellie's Haven, nearly 80% of respondents said holidays are "extremely important" to them. It can be extremely difficult to find suitable accommodation that has the facilities needed when caring for children with special needs [such as] hoists, roll in showers, adjustable beds. We need to be able to relax in a safe environment where we aren't attracting lots of attention from other holidaymakers! It is the only time we can get away from phone calls, hospital appointments and everything that makes our family someone's case. On holiday we can just be a family.